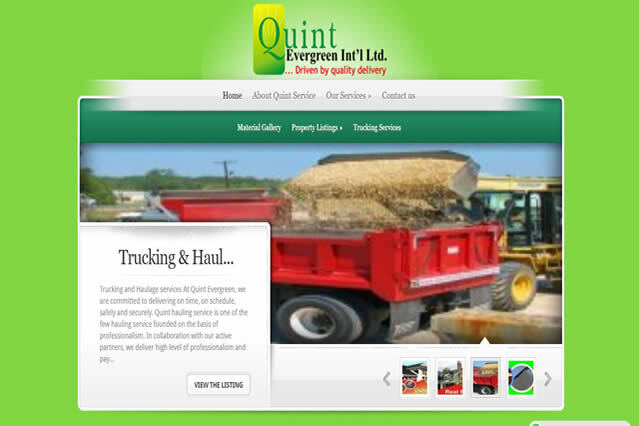 Quint Evergreen Int’l Ltd is a service provider company duly incorporated and registered as a limited liability company in Nigeria to engage in the core businesses of Real Estate, Haulage services, general construction contractor, On-site building material supplies and Off-site services. At Quint Evergreen, we strive to sustain the highest global standards and practice and we delight in ensuring that our esteemed clients have a totally new experience of quality service. Visit Quint Evergreen Int’l Ltd Website For More Details.